Too often, when it comes to the repair or alteration of a staircase within a period property, evidence is unearthed which helps us to learn more about the concealed historic fabrics used many years ago. Such findings means we are able to learn more about the ways in which wooden staircases were constructed and installed within a property, one which is still as beautiful and alluring as when it was first created. In staircases where it is not bounded on both side by a wall, there is a clear need to provide some form of a safety barrier. 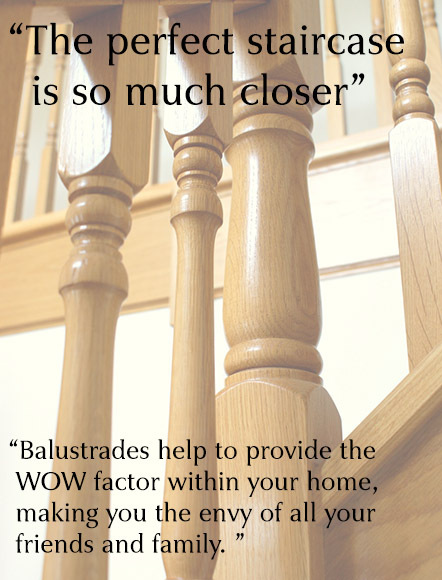 Balustrades not only ensure that the staircases become stable and secure but because of its locality, they also help to provide the WOW factor within your home. In many period homes the staircase’s aesthetic value holds great significance and really gives homeowners to chance to impress friends, amily and loved ones as their own inspiration, personality and tastes have the opportunity to shine through in their most cherished home. For a range of experienced staircase restoration specialists within your local area, please see below. All staircase specialists boast many years of experience in the carpentry and joinery industry and will be able to help restore the staircase within your period home back to its former glory.